Early in his career, Wayne represented insurance companies in insurance defense cases. The insight he gained enabled him to advocate effectively on behalf of workers, car accident victims and other personally injured people with valid claims against insurance companies. Since 1993, he has represented "plaintiffs only" in personal injury, workers' compensation, disability, and wrongful termination/discrimination/retaliation cases. Over the years, he has successfully represented hundreds of clients in these cases. Wayne Bilsky is AV Preeminent* peer review rated through Martindale-Hubbell, the highest rating available. What does this mean to you? He is respected by his peers in the legal field and maintains very high ethical standards through his practice. You can trust Wayne to deal honestly and to advocate strongly for your interests. 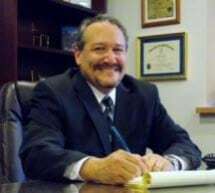 As a respected lawyer who understands insurance industry strategies and tactics, he can provide you with effective representation in court and in negotiations with insurance carriers, as well as the individuals and employers they indemnify. Our attorney handles cases throughout Central Florida, including Lake, Orange, Seminole and Osceola counties. Most cases are handled on a contingency fee basis. For more information, contact the Law Offices of Wayne W. Bilsky, P.A., today. Our dedicated legal professionals are well-versed in several areas of practice.